Commissioned to produce a series of 10 personal training videos, website and branding for this start-up. 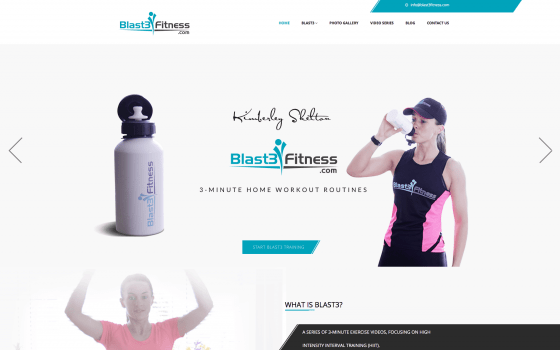 Working closely with the Blast3Fitness team, we put together a branding and design strategy that linked with the ethos of the business. A series of 10 videos (3-minutes each) were produced, helping the client spread their ‘online personal training’ services easily through social media. E-commerce functionality was built into the website, enabling users to subscribe/pay for additional online training services. “Diligent, hard-working, friendly and knowledgeable – the guys at Marketing Empire have really helped us to push the launch of this business forward successfully. The website is stunning and works perfectly for our needs; the videos you produced are so much more professional than my rivals’ videos, and the advice you’ve given throughout this whole process has been invaluable.